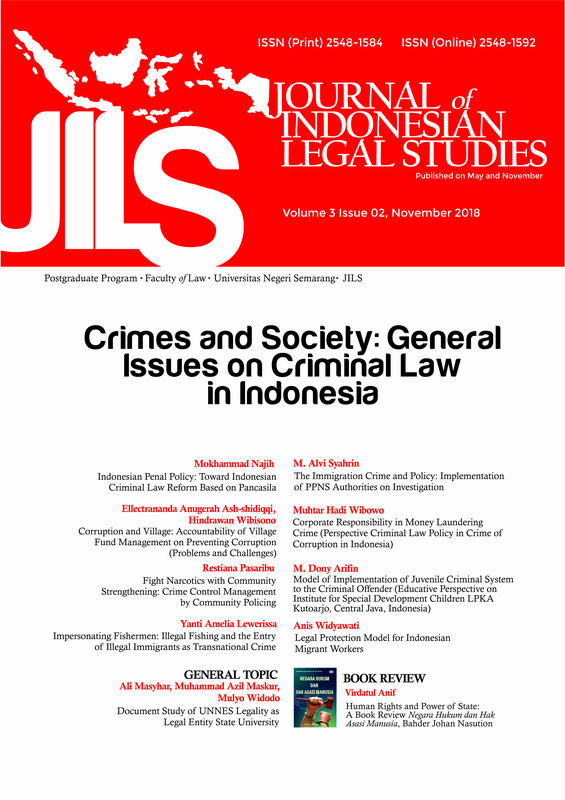 Journal of Indonesian Legal Studies (JILS) is a peer reviewed journal published biannual (May and November) by Postgraduate Program, Faculty of Law, Universitas Negeri Semarang. JILS is intended to be the journal for publishing of results of research on law both empirical and normative study, especially in contemporary legal issues. The various topics but not limited to, criminal law, constitutional law, private law, economic law, human rights law, international law, tax law, Islamic law, customary law, commercial business law, environmental law, street law, legal education, maritime law, trade law, in the framework of Indonesian legal systems and Indonesian legal studies.